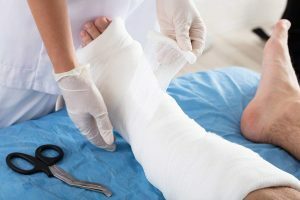 When someone’s careless or negligent action causes injury to you or a loved one, you may need compensation to cover medical bills, lost wages, recovery time, and the pain and suffering caused by the injury. If you need a personal injury lawyer in the Greenville, SC, area to help you get the compensation you need, contact Philpot Law Firm, PA, for help. Personal injury law enables an injured party to pursue damages against the person who is legally responsible for someone’s injury. This area of law covers many potential injuries, including auto accidents, truck accidents, premises liability, product liability, and medical malpractice. In personal injury law, the injured party must show that the at-fault party breached a duty owed to him/her and that this breach proximately caused his/her injury. The attorneys at Philpot Law Firm will help you gather the evidence to meet this burden. Often, injuries can be expensive, traumatic, and even life-changing. When this occurs, you often have high costs to pay. In these cases, you can be entitled to damage to help you cover these unexpected expenses. Damages can include medical bills, lost wages, emotional distress, and other harm caused by the accident or injury. An experienced personal injury lawyer from our team will evaluate what compensation you deserve and help you get what you need. When you need a personal injury lawyer who is going to be on your side and guide you through the process, contact us for help. We are dedicated to pursuing your right to recover compensation for each and every damage you have sustained. Located in Greenville, SC, our team of attorneys are all experienced in personal injury law and have helped many people in the Greenville, SC, area get the help they need. Contact us today for a free consultation by filling out our online form or calling us at (864) 242-1366.